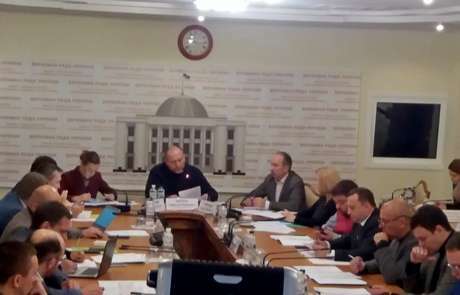 Opening the sitting, the head of the commission B.Bereza, MP, clued up there had been plans for today to hear a range of the Kherson oblast and city executive supremos – but all of them have failed to come, alluding to the workload. The litigator of the aggrieved parties Yevheniia Zakrevska was not in attendance either. In such a situation, the committeemen then decided to hold soon a field sitting in Kherson and to hear on five to ten most notorious activist attacker cases perpetrated in Kherson, Odesa, Kharkiv, Sievierodonetsk and Kyiv regions only.